【M3-2017春】'Raindrop Caffé Latte'(Endorfin. 3rd Mini Album) XFD by Endorfin. 雨の日のカフェラテは、恋の味がした。 春らしさを詰め込んだ、お洒落でさわやかな３曲に続き 1st Album「Horizon Note」から「桜色プリズム」のリミックス、 そして新曲の各Instrumentalを加えた全７曲を収録 雨上がりの喫茶店で、カフェラテ1杯いかがですか？ Circle : Endorfin. 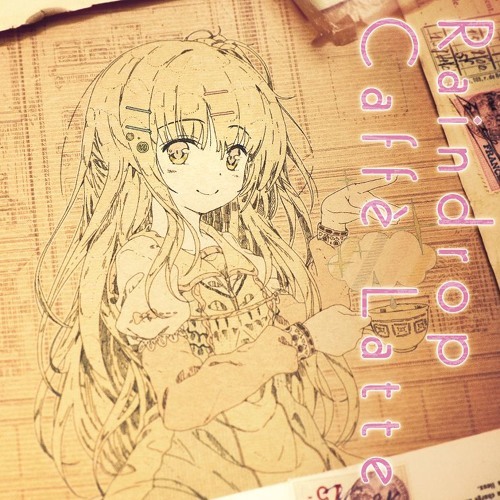 (お-36a) Release : 2017/4/30 Event Price : 1000JPY More Info : http://endorfin.jp/cd/raindrop_caffe_latte iTunes : https://itunes.apple.com/jp/album/raindrop-caff%C3%A9-latte/id1280806813 Bandcamp : https://endorfin31.bandcamp.com/album/raindrop-caff-latte Also available in Apple Music, Google Play, Spotify and so on.